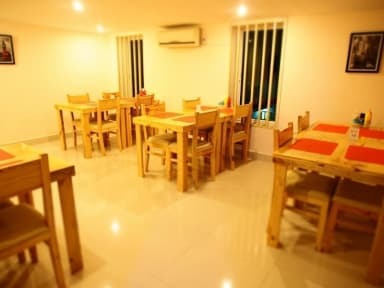 Top Hostel Phnom Penh i Phnom Penh, Cambodja: Reservér nu! Offering clean, pleasant rooms with big size beds, hotel quality linens and free WiFi, TOP Hostel is located just less than 1 km from Phnom Penh International Airport (8 mins by tuk tuk). We are the ideal place for rest hub before your next early flight in the morning. Especially, if you want to avoid the infamous Phnom Penh traffic jam. Also, we are just 2 mins walk away from the bus stop if you are heading towards these places (Sihanouk, Kampot, Kep etc) as we are located along the way. We puts all effort to make guests as comfortable as possible after all day of hard​​​ fun and hard work!